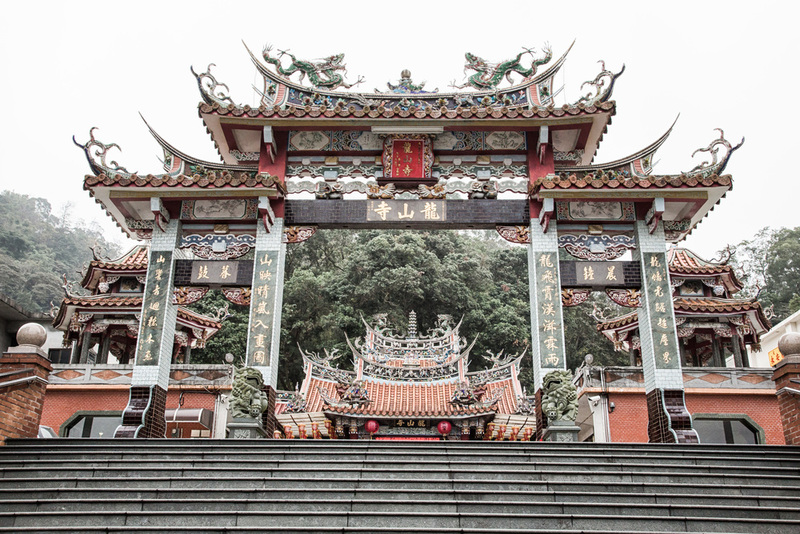 While doing research for my post about Taipei's most famous temple, Mengjia Longshan Temple (艋舺龍山寺). I came across an article that claimed that when the temple in Taipei was under attack during WW2, some of the statues from the temple were moved to the Daxi Longshan Temple for safekeeping. 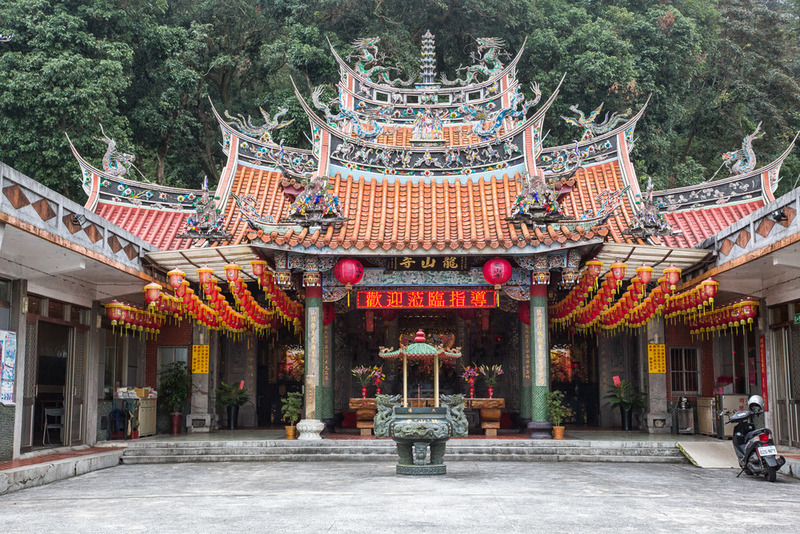 I had immediately thought it was a bit strange because Longshan temple is one of Taiwan's most famous temples, but unlike a lot of Taoist temples, I had no idea that there were actually other branches throughout the country let alone one near where I live! 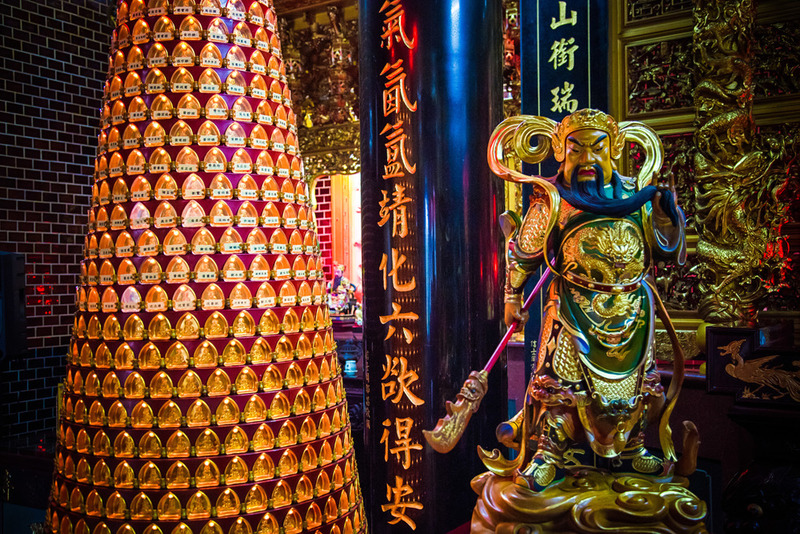 With major Taoist and folk-religion temples, it is quite common to find temples with the same name - Temples such as the Tian-Hou (天后宮) temple, City God temple (城隍廟), and Confucius (孔廟) temples can be found in various cities throughout the country. Each temple varies a bit and usually has a place name in front which differentiates the temple from the others. For example: Taipei Confucius Temple and Hsinchu Confucius Temple are a few examples of the temples I've covered in the past that have the same name. The temple carries the same purpose, but typically vary in architecture and design. With a bit of research I was surprised not only to find out that there were several Longshan temple's throughout the country, but also the location of the one that I didn't know existed near my home in Daxi. 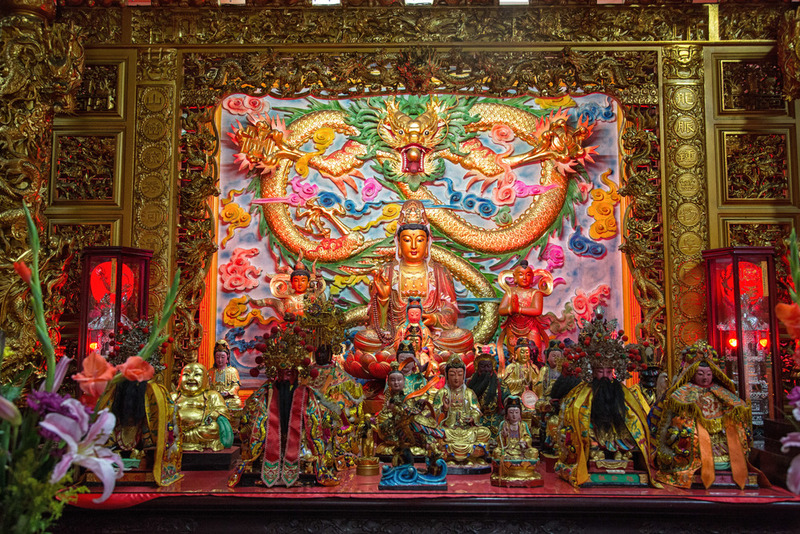 Daxi (大溪) is a small village, but it is the home of a few famous temples as well as the popular old street which are all a short distance from each other. The Daxi Longshan temple is a bit far from all of that however and that is probably why I wasn't aware that it existed. 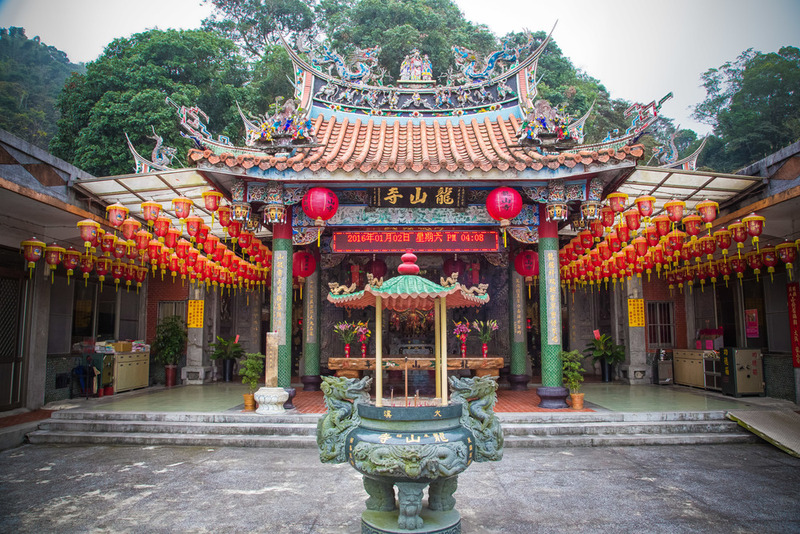 The temple was originally built as "Longshan Temple" in 1868 but was destroyed a few years later by the Japanese in 1895 due to efforts by the colonial government to force Japanese culture upon the people of Taiwan. When the Japanese realized that it wasn't a very successful policy, they put a stop to it and the temple was rebuilt in the same location under a different name. The temple was renamed Xiangyun temple (香雲俺) and stayed that way until 1981 when it was officially renamed to the Yongfu Longshan Temple (永福龍山寺) and became more commonly known as the Daxi Longshan Temple (大溪龍山寺) as you may notice on the incense urn in the photo above. 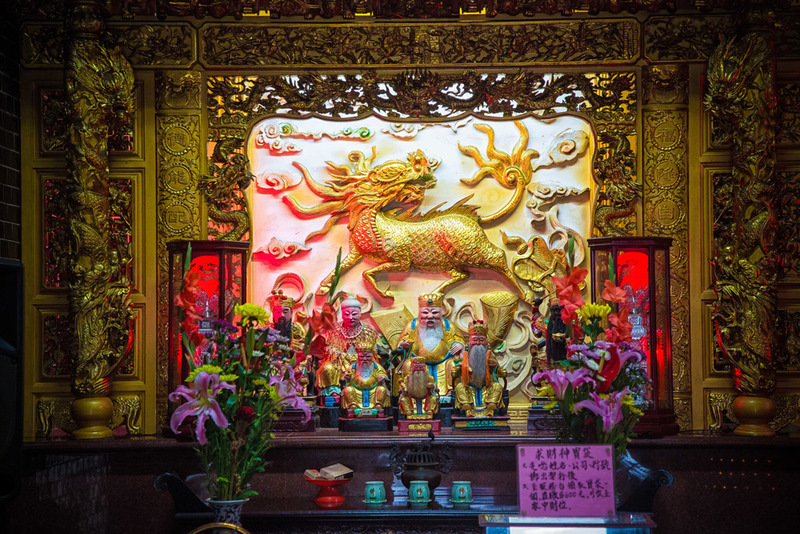 The temple, similar to Taipei's Longshan temple in that it is dedicated to the goddess Guanyin (觀世音菩薩) and other Buddhist deities. The shrines are much smaller in scale however and the temple is actually very simple in comparison to the Taipei version. The temple is actually quite nice but cannot really be compared to the much older (and more popular) version. If you search for information about it online, it seems like the temple is actually most well-known for the hiking path behind it. The path takes you up a mountain and gives pretty great views of the Daxi river valley. The mountain turns white in early spring with Tong blossoms (油桐花) which are the Hakka version of cherry blossoms. The path is popular during early spring with people travelling from all over the country to come see the blossoms. (I'll have a post about Tong Blossoms from the mountain in a few days). The temple is nice to stop at for a short time - There isn't very much to see, but if you want to do an easy hike you can check out the temple for a short time and then take a hike up the path on the mountain. If you're in the area, check it out. It's rarely busy and the environment around it is quite nice! If you have any questions, comments or criticism, don't be shy: Comment below or send an email through my contact section below!